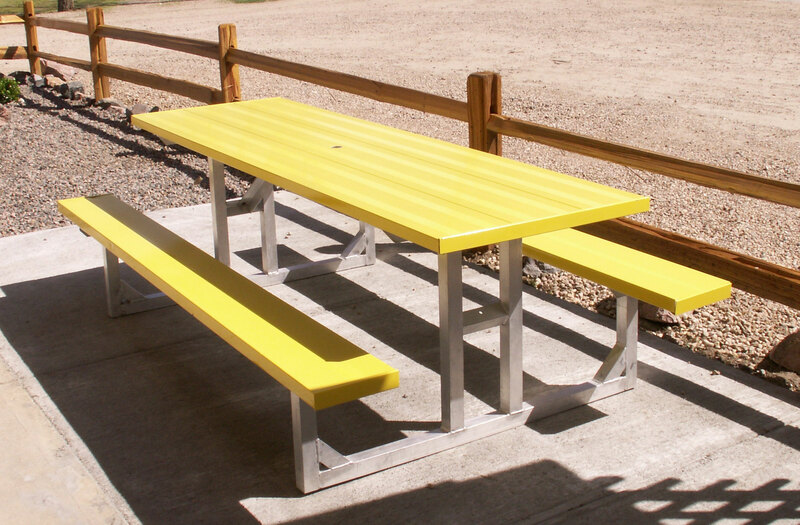 In addition to providing bleachers and grandstands, Bleachers International is able to offer other outdoor seating products listed below. 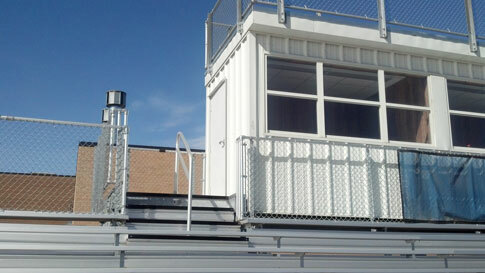 Bleachers International has the capability to include a Press Box to your Grandstand or Bleacher. 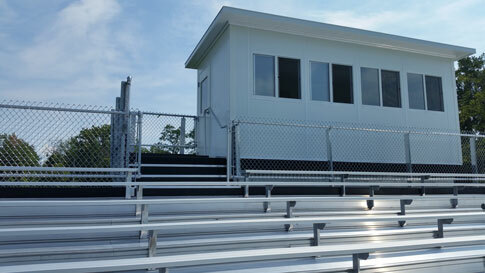 Press boxes can be designed and installed even as your bleachers are being built. 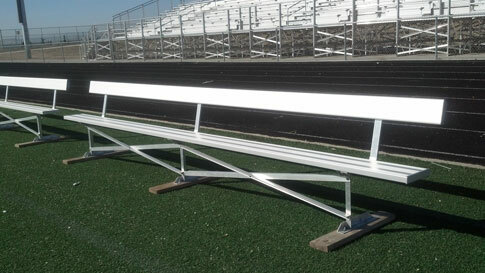 Or they can easily be added to enhance an existing bleacher system. The most common press box size is 8′ wide x 30′ long but can be built according to your needs. 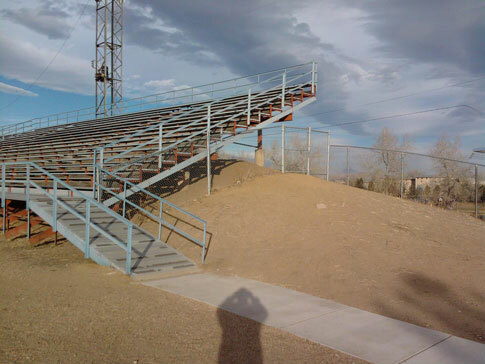 From fabrication and installation of the understructure, to the design and installation of the press box itself, Bleachers International personnel is directly involved to assure that what you require is what you receive. We have extensive experience building customized ADA complaint ramps. 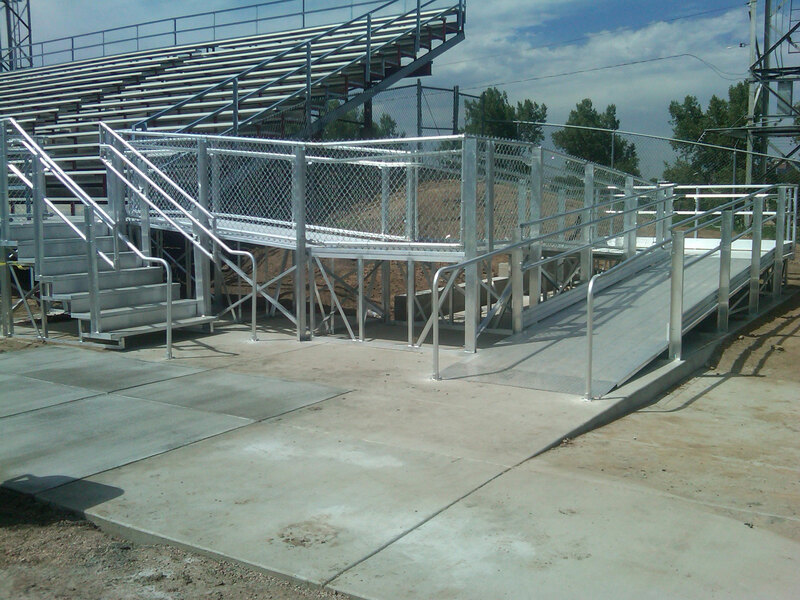 Many times ADA ramps are required for the new bleachers we sell, but as of late – due to new building codes requirements – we have been asked to build ADA compliant ramps for existing bleachers. In addition to building new ramps, we also build ADA platforms or make cutouts in the existing bleacher for people in wheelchairs. We have the capability to design, engineer and custom fabricate ADA compliant ramps, nationwide. 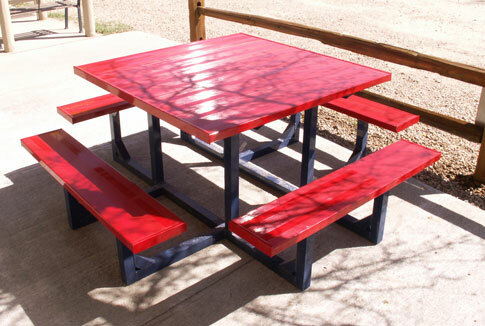 We can build player/dugout benches using either aluminum or steel understructure. 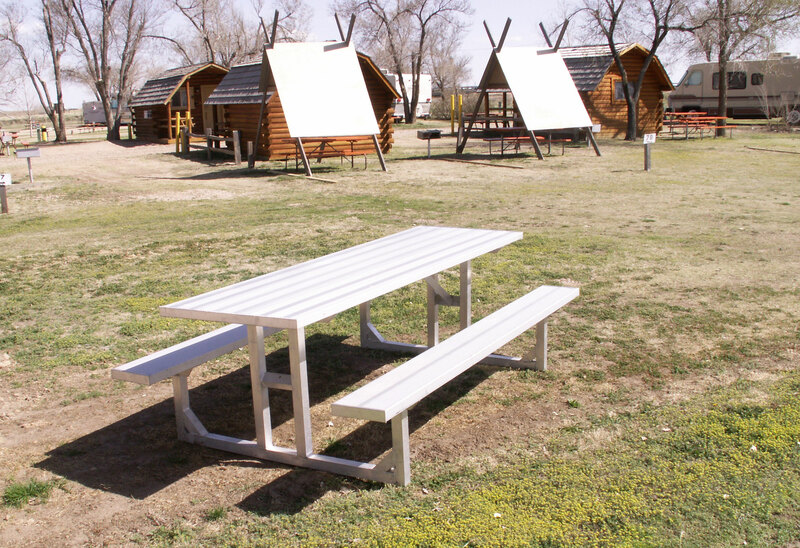 Benches can be built with backrests or without. We can build scorers tables of various lengths using either mill aluminum finish or powder coated with the color of your preference.